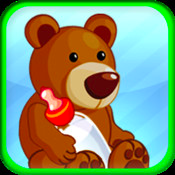 iMommy is a charming and enticing app that will bring out the nurturer in our kids! All kids love to take care of babies and this one gives them plenty to work with. Kids can choose a boy or girl, change the hair color, eyes, outfits, and more. There are ten ‘rooms’ which are scenes in which kids play with their babies, help them eat and make them laugh. Kids get to name their babies on the Birth Certificates with a couple of taps, then just type in a chosen name. Check out the videos below to get a clear picture of the value of this app. iMommy is presented to us by K & N Ventures who is working on an update that is soon to come! There will be more rooms, and special touches to bring the babies to life! Let’s Start with A Clean Diaper! Check Out The Coloring Pages! I was sitting with my middle child looking for an app just like this and it didn’t exist so I had an ‘ah ha’ moment and thought…why not make one! It took over a year to figure it all out but I did it! The simplicity. Any child of any culture or language ability can use it. We are coming out with a huge update this June to fix some bugs, add new rooms and even launch an Android version! The baby in the update will be more realistic, it will blink, and you will see natural breathing movement.. Basically more realistic effects.